Just joined and made my first contribution. GO TEAM FlyerTalk! Joined the team today. Joined Kiva long back and have a few loans. Good for the soul. Just joined today and made my first (of hopefully several) loans. What a beautiful concept this is. Welcome to the FlyerTalkers lending team! Fifty members! That is a nice benchmark, and I see our loans total up to $4,325.00 today as well. I just did another one today. Just added one as well. Five thousand dollars lent, here we come! Just threw my 3rd loan in, should hit $5,000 shortly only a couple of loans shy. Good work all. $10,000 by the end of the year ?? I just re-loaned some repayments that have hit my account over the last months - it's amazing how quickly the funds come back in (or rather, how quickly time passes... ). I just found this thread and love the idea. Just made my first loan and plan on more. Thanks for doing this Flyertalk Kiva team! Duo xie (thank you very much - I am in Shanghai today,) to all! We've pushed the FlyerTalkers Lending Team OVER $5,000! We surpassed our goal of $5,000. Congratulations to all who have lent through the FT team and contributed to meeting our goal! 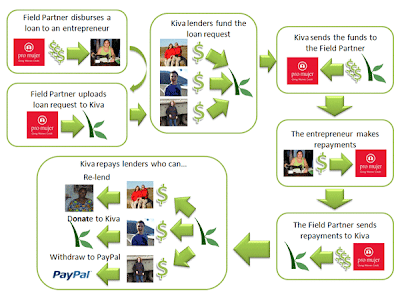 Right now the biggest team on Kiva has loaned a measly $500,000. The people on this thread are off to a great start, but this concept needs to spread to every member of the FT community. Everyone on FT could use 25 miles or a little cashback, so what is stopping FT from dominating the Kiva leaderboard? As our team motto says, "We want to fight global poverty while earning miles." Let's get earning. I just noticed that now U.S. entrepeneurs are listed on KIVA. Anyone want to engage in a little private sector economic stimulus?